Looking at the box office result, Paramount probably expected more from Ghost in the Shell. The movie version starring Sccarlett Johansson only grossed a little less than $170 million worldwide. For that reason, the action movie could be considered a flop and there are probably lots of reasons for that. If the PG-13 rating is one of them? Perhaps. Especially since an R is not far-fetched, considering the manga he movie is based on. In this context, it should also be interesting that the level of violence had already been kept rather low during the shooting. At least, there was hope for an Unrated Version for home theaters but that is not going to happen. Paramount Pictures Home Entertainment has already announced the Blu-ray and DVD for the US and a longer, harder version has not been mentioned at all. In other words, the Blu-ray/DVD will only contain the uncut PG-13 Theatrical Version. 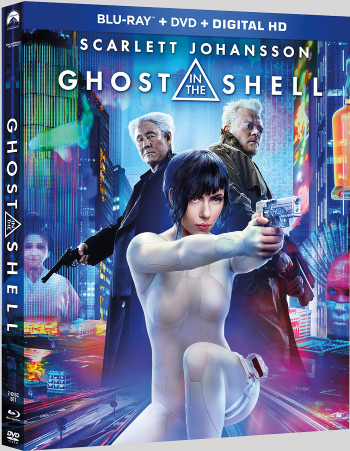 In the US, Ghost in the Shell will be released on 07/25/2017.